Welcome to a new breed of hot hatch. The new Audi SQ2 is just one element in a far larger trend of fast SUVs, with cars particularly of this size potentially whisking some folk away from the trad cooking family car. Even from within Audi, the SQ2 is trying to elbow its way into the S3 Sportback’s space. 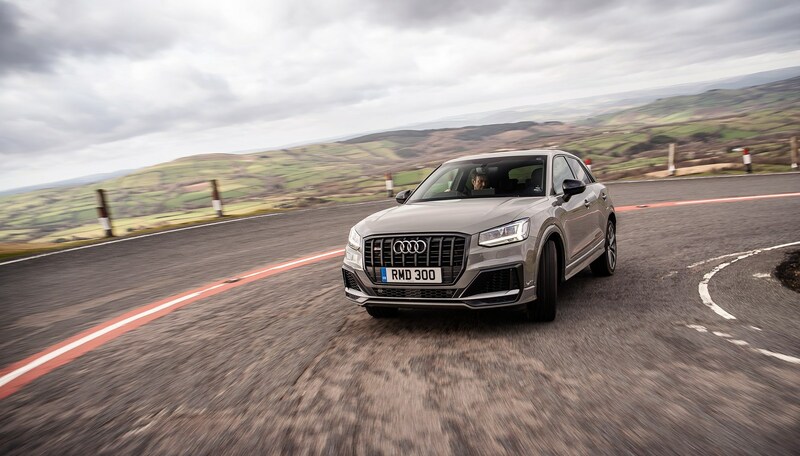 The Q2 in general was designed to be much more of a fashionable and customisable offering to the young’uns hungry for a baby SUV, making the SQ2 attractive to those who like a bit of spice in their crossover. An SQ2 can be yours for £35,600 but is beholden to a Bob Ross paint palette-sized customisation options list, with the one we tested in particular being finished in yellow with a black vinyl design pack (not pictured). Prepare to spend more than list. You just will. Do you know the five characters EA888? They’ll be quite familiar to VW Group performance fans. The crafty penny pinchers must be laughing all the way to the bank after figuring out can kill a whole tree’s worth of birds with one rather big, turbocharged rock by farming out the same performance car underpants to the whole Group. Seat wants a hot Leon? Easy. Oh, now they want a Cupra spin-off Ateca? Fine. Skoda’s been ransacking the EA888 treasure trove for years and, of course, the engine has been the life blood of GTI and R cars from VW. All in different states of tune. 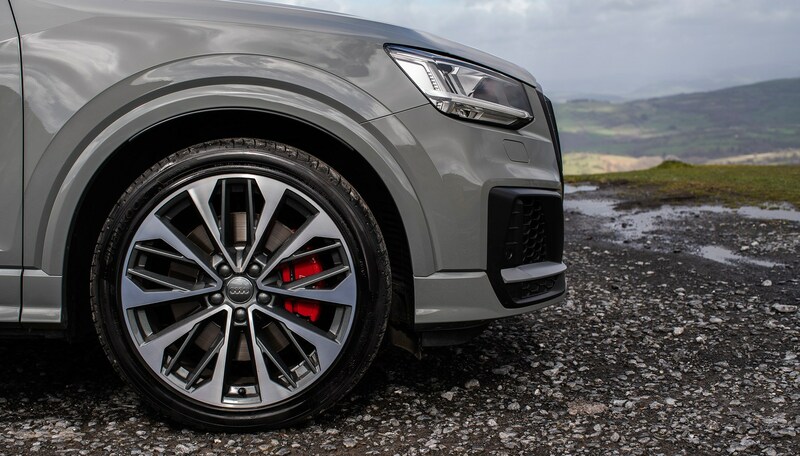 So, in the case of the SQ2, the 2.0-litre 4cyl turbo has 297bhp and a healthy 295lb ft, sent to all four wheels via a seven-speed ‘S tronic’ dual-clutch auto and quattro all-wheel drive. On paper, that translates to a 4.8sec 0-62mph launch sprint (just 0.2sec slower than an S3 Sportback) and a limited top speed of 155mph. Absolutely not, in the case of the powertrain at least; the engine is by far and away the star of the SQ2’s pantomime. A 4.8sec sprint in a (sort of) SUV? Baffling and hilarious spring to mind when first stepping on that EA888 land mine, with such flexible delivery, too. All of the torque is available from 2000rpm and sticks around until 5200rpm, so the mid-range whump is a hearty and lengthy one. Keep pushing and it higher and it feels like there’s a never-ending redline, as the SQ2 powering on… and on… and on. With a bassy, purposeful growl (somewhat digitally enhanced by the speakers in Dynamic mode) as a perfect aural garnish. It’s not sloppy in the twisty bits either. Granted it’s not entirely roll-free when up against its S3 sibling and Golf R cousin but still impressive, with heavy steering (again, in Dynamic mode) imbuing you with conviction in sharp turns. Grip is abundant even in horrid conditions, and you can feel the car make split-second decisions about where sudden demand of power is going to go. So, best car in the world then? Nope – it’s not just about the powertrain. 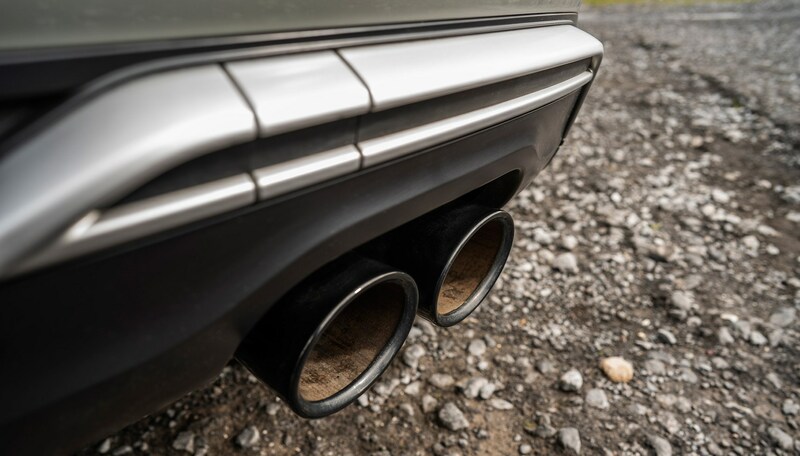 The SQ2 isn’t available with Audi’s ‘magnetic ride’ adaptive dampers – something admittedly optional but arguably essential on an S3 to maximise its usefulness and not make it irritating in town or at low speeds. So, the SQ2 is permanently firm, jiggling profusely at low speeds due to the combination of large wheels and hard suspension. That and the wonky driving position – granted a 6’3” driver may mean compromising in some cars, but I couldn’t get the correct position, despite having plenty of opportunities to make it right. The sport seats are tremendously unforgiving in their padding, too. Well, if you thought the engine was familiar, the interior will be. 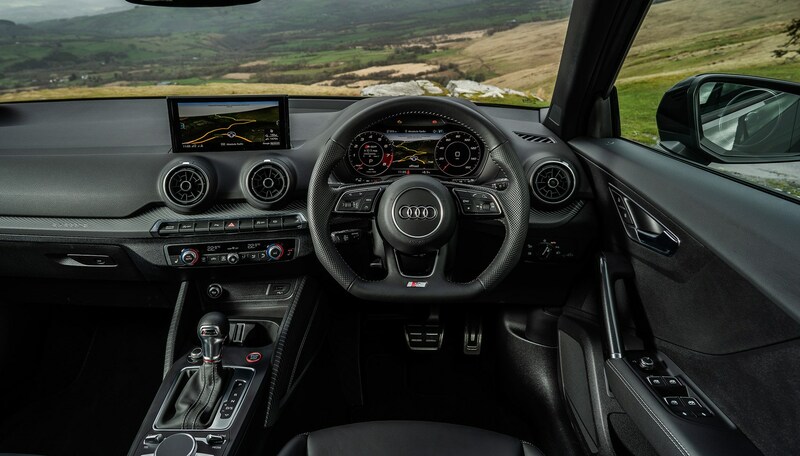 It’s basically an S3 in here, complete with its poke-out infotainment screen (without the sliding in/out mechanism when switching on and off), Virtual Cockpit, thin-rimmed wheel in perforated leather and Audi’s pretty decent rotary wheel controls. The back seats are fine enough for adults, and the boot has a flat load lip and is at thigh height making loading easy. The space available is larger than an A3 hatch, too, as you'd expect. Love it or loathe it, we don’t particularly care. Some may lament the SQ2’s SUV-ishness but it opens up the Group’s performance end of the scale to a more lucrative market. If you’re desperate for the crossover look, the SQ2 is a potent, entertaining and genuinely fast machine.